So it's a well established fact that I do not like to cook. I have mentioned it throughout the years, over and over again, that it's just not my gig. That's why this five minute blueberry pie recipe is perfect for me. Well, five minutes of prep, that is. It takes longer than that to bake in the oven, but since I don't have to do anything once it goes in, I don't count baking time. See, I told you I wasn't a cook. 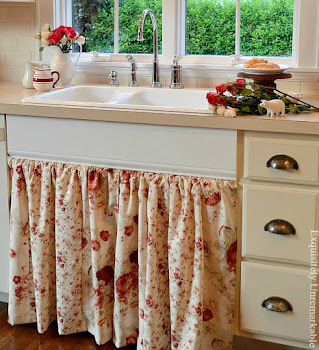 I'm always looking for shortcuts in the kitchen and this is a delicious one! Now, I don't have any pictures of my process, because I didn't plan on sharing this recipe. It came out so good though, everyone kept asking me for the recipe and saying you simply must share. So I'm sharing. 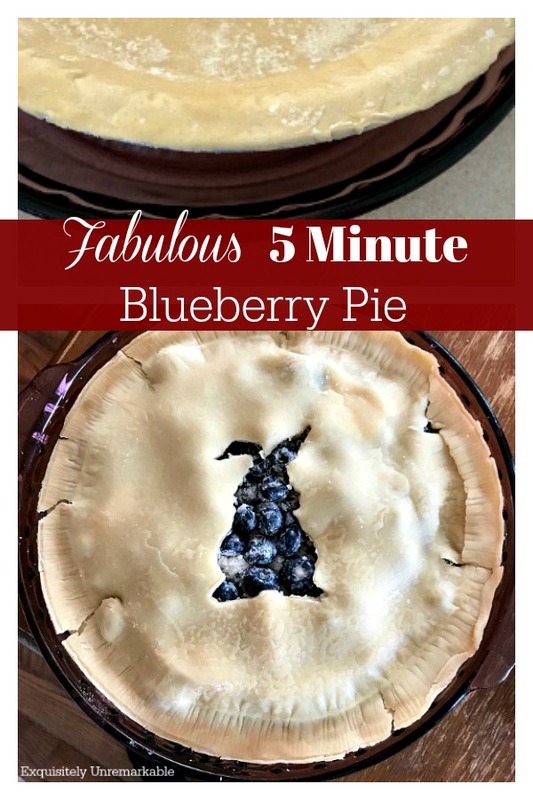 And since I have been craving it every day since Easter, I made one today and made a brief video to show you that it does indeed take five minutes to make...and that includes gathering your supplies and rinsing your blueberries! I had given up treats for Lent and after forty days of nothing sweet, I was really looking forward to dessert more than dinner on Easter. Unfortunately, after doing without sugar for so long, my body wasn't craving it as much. I knew that a basic box cake or brownie mix was going to be way too much and I didn't want to feel sick. I decided to go for something fruity instead. You know, ease my way back to the chocolate chip cookies and Boston Cream donuts. When I started looking at blueberry pie recipes I couldn't believe how much sugar they all contained and how much work was involved. 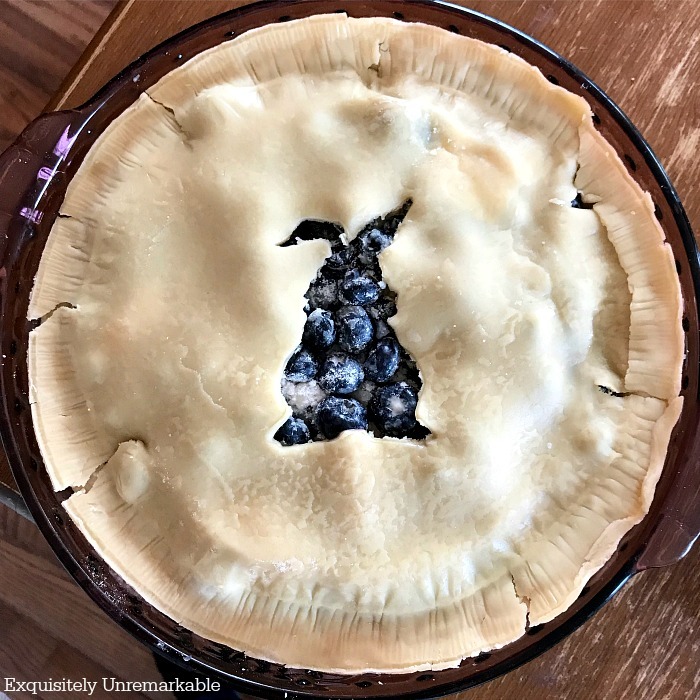 Besides the fact that they all wanted me to make my own pie crust (never happening folks), most every one that I ran across wanted me to boil the blueberries down or crack open a can of them. Um...nope and yuck. I try not to eat out cans. I finally came up with a few that didn't require any of that, perfect. Well, almost. They still did include the pie crust directions and a whole lot of sugar and cinnamon. And most of them required upwards of 6 cups of blueberries. That would've made my pie a very expensive dessert. So, based on several recipes, I made up my own version. Two frozen pie shells. Not the deep dish ones. Place blueberries, sugar and flour in a bowl and gently stir. Pour contents into frozen pie shell. Squeeze the lemon quickly over the mixture and add a few thin pads of butter on top of mixture as well. Carefully remove the second pie crust from its tin and place it over the mixture, sealing the edges with your fingers. That's it. Then I just popped it in the oven for 45 minutes of 375 degrees. I cooked it until the blueberries were bubbling and soft. Your cooking time may vary. Oh ~ and I have a convection oven. So you may want to set your temp to 400 degrees if you don't. I am a huge cheater when it comes to DIY and I do the same with cooking and baking. Want a fancy professional look without the time and tools? Stick with me. The two things I did to make this pie look as good as it tasted, was I placed it in a real pie plate and I adorned the top. Now, when I say placed it in a pie plate, I literally did. I did not remove the shell from the tin, I just plopped them both inside of a glass pie plate. Instant appeal. Literally no effort. I was not going to wrestle with the pie shell and take the chance of it breaking or not being the proper size. It worked out fine and as I said, looked super. Second, I adorned the top. We've all seen those videos of people cutting out shapes or poking and pricking pie crusts into neat patterns. I have always wanted to try, but it's never happening. Way beyond my talent and attention span. And desire. 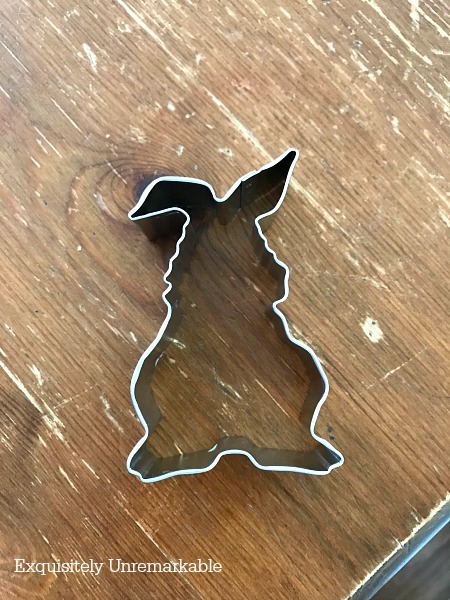 What I can handle is a quick hit with a cute cookie cutter. We purchased this set for under $3.00 a few days before to make cookies (that never happened). 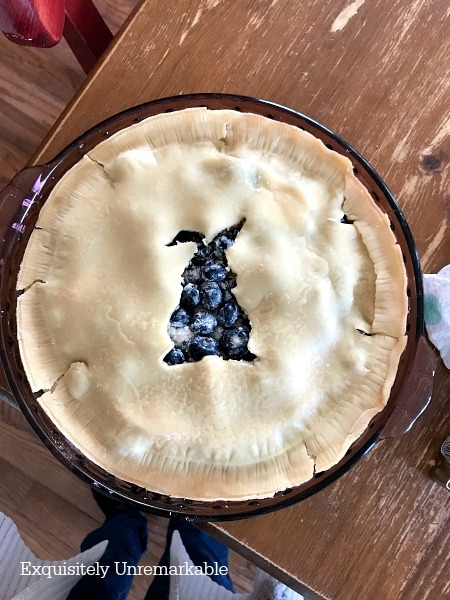 I just grabbed a simple shape, pressed it into the pie shell, while it was on the blueberries, removed the inner bunny piece and voila! Super fancy five minute pie. I promise you that's all the time it took start to finish. I looked like a superstar baker. The pie was absolutely delicious. And no one was any the wiser. But you can keep your secret if you like. I won't tell. Are you a five minute kind of baker? I heard about your snow. I honestly can't believe it. I was telling people that you were under siege while we were wearing shorts yesterday during a moment of brief spring insanity. Of course, Mother Nature is back to her old tricks again today. It's a very damp, bitter, windy, cold, cloudy and grey day. At least we don't have snow. Enjoy your spaghetti!! And stay warm! Bernardine, I am not talented in that area either. I love to eat the stuff and I do like having fresh baked in the house, but I need to find the easiest and quickest way to do. Or I don't. If you try it you'll have to let me know!! My kind of recipe! I would never have the nerve to remove the pie crust from the tin either. Sound like asking for a disaster. You did good, girl! Thanks Brenda! You know me, whether it's crafting or cooking, it's got to be easy or I'm out! I hate to cook, but love to bake. Yet, I find myself baking less and less because I would do all the eating. Your pie sounds delish and looks so cute with the bunny cutout. Thanks Carol. And yes, that is a big problem, the eating…the pie is already gone and I was the main culprit. Uh-oh. My Mister Irish . . . Loves pie . . .
You sold me, I am trying your recipe! Let me know how it works out for you, Lynne and I bet the Shamrock would be adorable! you also might remember i don't cook either. i used to love to bake. but now i'm borderline diabetic 2. so no heavy sugar in anything. (i'm allergic to artificial sweeteners.) i love the simplicity of your recipe. i mean really 3 tbs sugar? anybody should be able to handle that! it's wonderful! i buy blueberries by the pint and put them in my freezer. then i eat them a few at a time like a simple frozen treat. they take the place of ice cream for me! and i've come to think they're delicious! but this truly is a great blueberry pie recipe you've shared. and it's YOURS! We put the blueberries in the freezer, too, Tammy and they are delicious. They taste like candy that way. A real treat. I should eat more of them. Pie is awesome, but my waistline doesn't need it!! This looks so good and very easy to make. 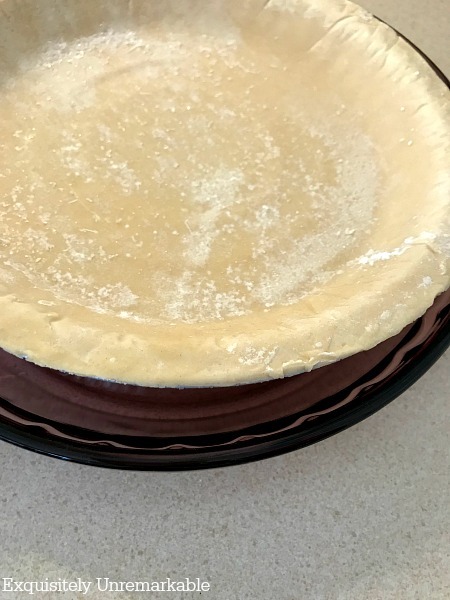 I use the pillsbury ready pie crust circles which are a great way too cut down the baking process too. I have never tried the frozen shells. Love these really yummy deserts that are so easy to prepare. I bet your kitchen smelled heavenly when you were baking this. Love the video you made too. 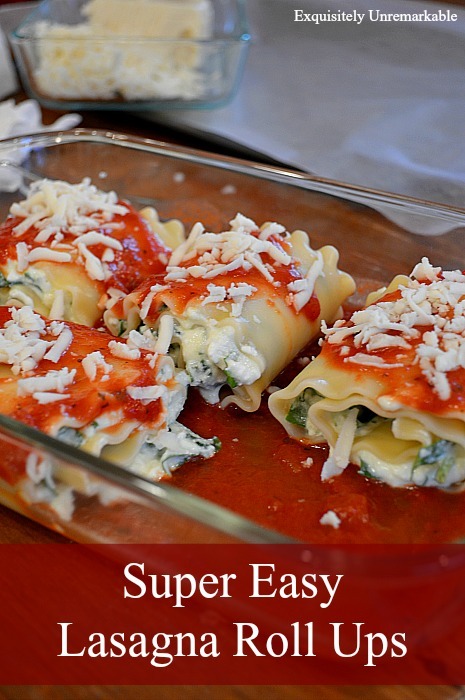 I love quick and easy recipes, and when they look and taste good too, it's a homerun! Thanks! Look at you getting all Betty Crocker on us (or a reasonable facsimile). I love to bake, but don’t mind shortcuts! Love the idea of putting another crust on top. Very clever! 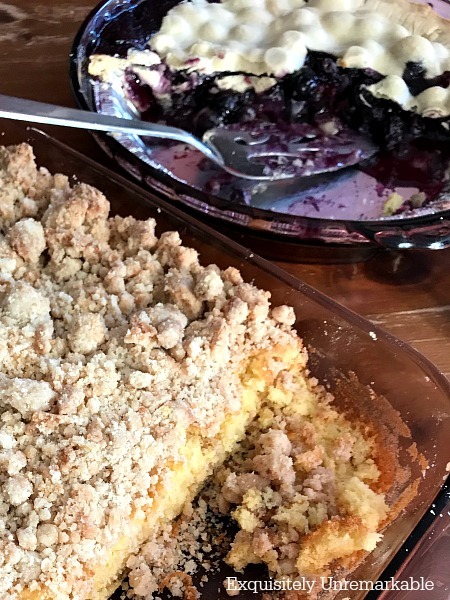 Blueberries and pie crust - what more could you want? Sounds delicious! LOL, love your honesty! This pie sounds delicious and SO easy! I have fresh blueberries in the freezer but they are destined for muffins. I made an easy pie once or twice, long ago . . . crustless apple pie! And it was good! Not an apple crisp. Just apple pie with no crust. Tried to make it heart healthy for my MIL and she loved it. Mmm…that sounds delicious Kathy. I bet I could do that with blueberries, too. And what’s easier than that? Thanks for the tip!! Haha, you're just my kind Kim...I also hate to cook. Someone was telling me once how easy it was to make something & I said, "does it involve lifting the pan out?" or "does it involve actually cooking something?" Then it's not easy. Ha! I'm so lazy when it comes to cooking. Our idea of cooking is heating up a frozen Lean Cuisine which we split & having a salad on the side. Oh excuse me, I'm supposed to be talking about the blueberry pie...oops I forgot myself. It really does look delicious. And I mean, 6 cups of blueberries? Wow, you've got to be kidding. They must need a REALLY deep dish dish. Oh yes, and I'm glad you didn't mean you lifted the pie shell out of the tin. I actually looked to see if that's what you meant, which really would cancel out the "easy" part. No way. Just put the tin in the pan. I did take the top one out, but that's just gravity really! Look at you baking! ;) I love blueberries and I love easy. I'll definitely give this a try. Yummy! I love those easy recipes. SUPER easy, Vanessa! And thanks! That looks so great! I love easy to make but delicious recipes that seem like they took hours but didn’t! I'm a total cheater, Deanna. Unfortunately, it disappeared in about the same amount of time as it took to make it! Kim I was once a non baker too till I moved to Greece where there was no such thing as a pre-made pie crust. Ok so I had to learn how to make them from scratch if I was going to keep up with my apple pie addiction. But they never had blueberries in Greece. Of course now that I see your easy recipe and now that I am swimming in blueberries there is no way I'm going to pass this one up! I love the bunny cutout so much! And yes, I'm very much a 5 minute baker. :) Thanks for sharing! You are so fun Kim. 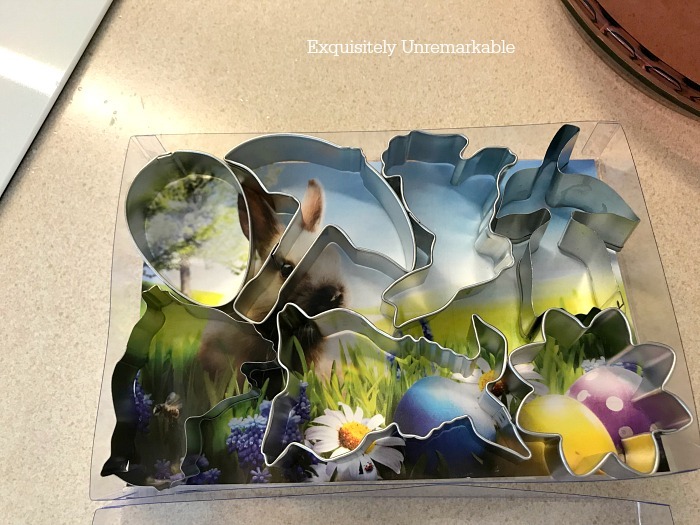 I do love your idea of the bunny cutout. Perfect! I've made my own pie crusts and used the prepared ones as well. 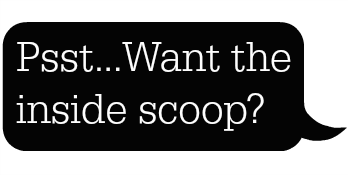 Depends on the mood and if the prepared ones are on sale. But that cookie cutter finish is super cute!!! What a finale ! Thanks Deb...and homemade pie crust is the best!! I could eat it plain. Beautiful recipes!! One thing I can not make is a pie!! Every time I make it I get disappointed. Thanks for the lovely photos!! Angela, this was so easy! It’s actually a little dangerous, because it tastes really, really good and you can make it super fast. Not great for the waistline! I am streamlining my lifestyle and my kitchen time, so this recipe is perfect for the hubby and I! Thanks Jemma…and I am willing to bet you may have some fresh blueberries in your garden! Dollar Tree frozen blueberries are on my list! You suppose they will work? I think I'll use the cookie cutter while the shell is still in the pan, and see if I can get it to work that way. Worst case, if the shell crumbles, I'll simply crumble it all the way and sprinkle it on top of the pie! More than one way to skin a cat. Lemons/lemonade. Like that. Of course, they would. I didn't know Dollar Tree sold frozen food. I am going to have to look for that for sure!! Oh my gosh, Michelle, I am a really bad baker, too and if I can do this, anyone can, Trust me! !